The best Christmas markets in Berlin, Germany are at Gendarmenmarkt, Opernpalais, Rotes Rathaus, and the Gedächtniskirche. Many are open on Christmas day and a few continue into early January. Christmas markets (Weihnachtsmärkte) are very popular in Berlin – the capital city of Germany has at least fifty large Christmas markets. The best Christmas markets for visitors to Berlin are in the Mitte and Charlottenburg areas close to major tourist attractions and the most popular hotels. 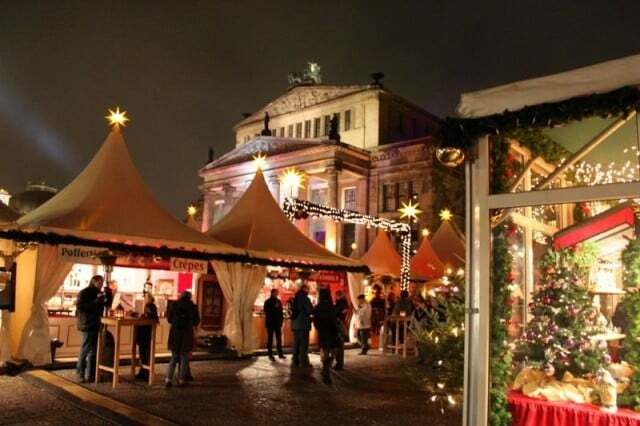 Great Christmas markets in Berlin are held at Gendarmenmarkt, Opernpalais, Rotes Rathaus, Breitscheidplatz / Gedächtniskirche, and Charlottenburg. 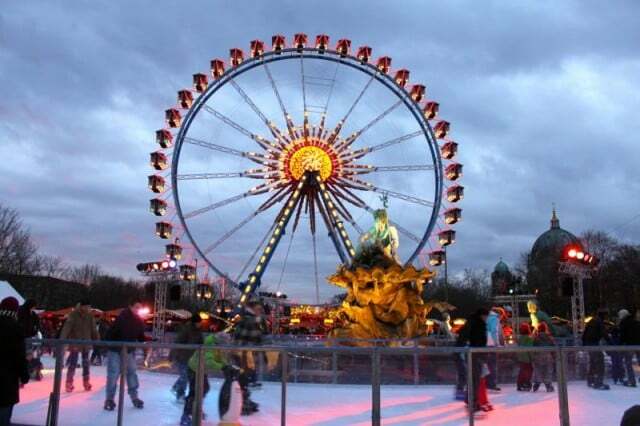 In contrast to most other Christmas markets in Germany, the top Weihnachtsmärkte in Berlin continue to function up to and beyond Christmas Day. All the Christmas markets listed below functions on Christmas Day (December 25) and a few days beyond although all will close early, if open at all, on Christmas Eve (December 24). In 2018, most Christmas markets in Berlin will be open from November 26. The Weihnachtzauber (Christmas Magic) Gendarmenmarkt is a Christmas market on one of the most beautiful public squares in Berlin. This Christmas market is famous for its large artifacts displays and artists’ workshops. In contrast to the other Christmas markets in Berlin, the Weihnachtzauber Gendarmenmarkt actually charges a small entrance fee after 14:00 on weekdays and all-day on weekends. This €1 (€12 on New Year’s Eve) is money well spent as it helps to prevent the market from becoming too crowded – but a few stands on the outskirts are accessible for free. Children under 12 are free. The Weihnachtzauber Gendarmenmarkt is open until 1 am on January 1. 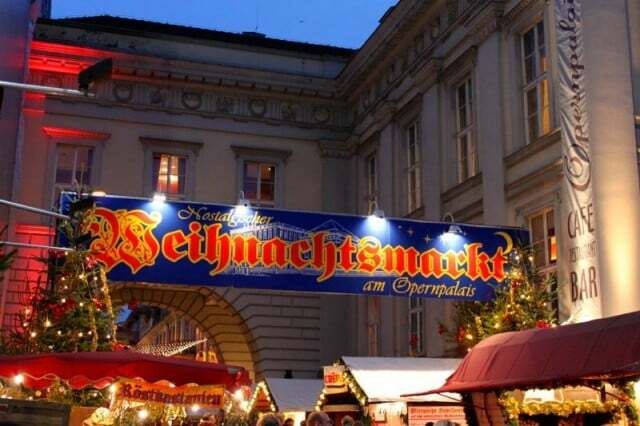 On December 24 and 31, the Christmas market on Gendarmenmarkt is open from 11 am to 6 pm. The Weihnachtsmarkt am Opernpalais is ideally located on squares and streets around the Opera House off Unter den Linden, the best-known boulevard in Berlin. This market is also known as the Nostalgischer Weihnachtsmarkt (Nostalgic Christmas market) and is considered to have the most pleasant atmosphere of all the advent markets in Berlin. A wide variety of hand-made items are also on sale here. Due to construction work around the Opernpalais, this market moves around a bit and won’t return to the Opernpalais until at least 2020. In 2018, the market will be mostly around the Hedwigs-Kathedrale towards the back of the opera house. The market is closed all day on December 24 but reopens on December 25. The Opernpalais is in the heart of Mitte very close to the German History Museum, the UNESCO World Cultural Heritage-listed Museum Island, and classy shopping in Friedrichstraße. 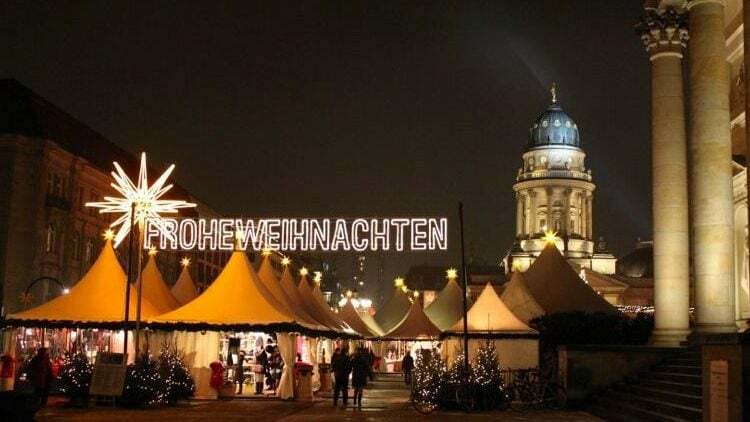 The Weihnachtsmarkt vor dem Roten Rathaus (Christmas Market in front of the Red Town Hall) is located in the heart of historic old Berlin near Alexanderplatz and the Fernsehturm (TV Tower). The market is very popular with children as it has several rides as well as the largest ice skating rink in Berlin – free, or €4 to rent skates. The market is closed all day on December 24 but reopens from December 25 to 30. The Weihnachtsmarkt an der Gedächtniskirche (Christmas Market at the Memorial Church) is one of the most popular in Berlin. The market has well over a hundred stands but it is the location more than anything else that contributes to the market’s popularity. The Christmas market is on Breitscheidplatz right in front of the busy Zoologischer Garten train station at the junction of Kurfürstendamm and Tauentzienstraße, traditionally the main shopping streets of West Berlin. 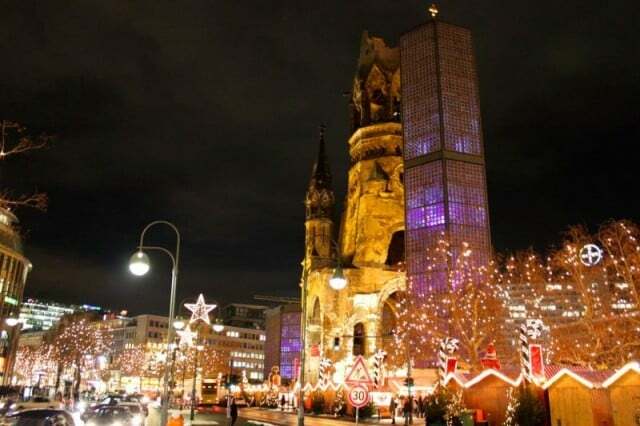 In recent years, the Christmas Market at the Kaiser Wilhelm Memorial Church has been functioning up to a few days in January to become the Weihnachtsmarkt with the longest hours in Berlin. The streets and major shopping centers in the region are beautifully lit during the Christmas period too. On December 24, the market is open only from 11 am to 2 pm and on December 25 & 26 and January 1 from 1 to 9 pm. The Weihnachtsmarkt Schloss Charlottenburg (Christmas Market at Charlottenburg Palace) is a fairly newcomer to the Berlin advent season. Only natural products are used to decorate the huts and tents. The market is not too big and popular with especially families. It is located in front of Schloss Charlottenburg, the only Prussian royal palace that survived in Berlin itself. The market is closed all day on December 24 but reopens from December 25 to 26. Berlin has many further Christmas markets. The large market in the old town of Spandau, to the west of Berlin, is often considered to be the best and most beautiful of all the Christmas markets in Berlin. Large markets are also held at Potsdamer Platz (open from 2 November to 6 January as a winter sport center with a very large Christmas market added during the advent period) and Alexanderplatz – both are near large shopping centers and thus excellent for shopping (and both are often blamed for being too commercial). Shopping centers in Berlin will also be dressed up for Christmas with many such as the Sony Center offering special Christmas programs and performance too. Berlin is by far the most interesting city to visit in Germany. Berlin has fantastic museums and endless entertainment options in addition to visiting the best Christmas markets. First time visitors will easier get an appreciation of the size and sights of central Berlin by touring the city on public bus 100 or bus 200.